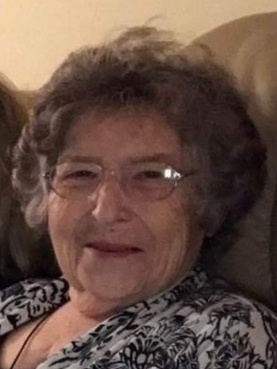 Dorothy Mae Rold, age 81 of Harned , KY died Friday, February 1, 2019 at Oakwood Health Campus in Tell City , IN. She was born in Breckinridge County on November 3, 1937 , the daughter of the late Cecil and Flora Anthony Kiper. Dorothy was a member of Kingswood Wesleyan Church , a former Sunday school teacher, Bible school teacher and attended the Bible study group. She had many interests that include cooking, canning crocheting, crafts, but her main focus was working with children. Dorothy retired from the Family Resource Center where she was the secretary. In addition to her parents, she was preceded in death by her husband Clyde Rold, sisters Regina Kiper and Martha MacDonald, brothers Wayne, James, Dewey and Donnie Kiper. Funeral services will be held at Trent-Dowell Funeral Home at 12 PM on Monday, 2-4-2019 . Burial will be in the Kingswood Cemetery . Visitation will held from 9:30 AM – 12 PM on Monday. Expressions of sympathy are suggested to Kingswood Wesleyan Church .